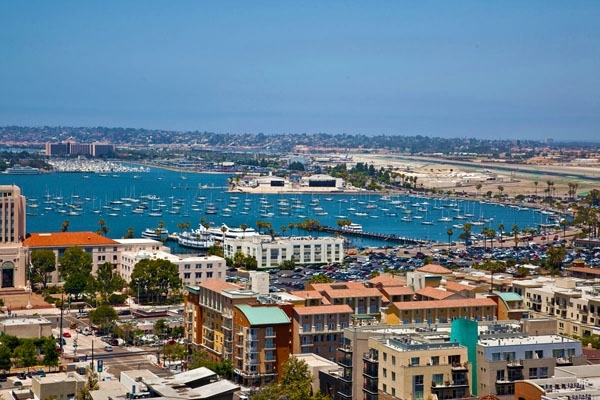 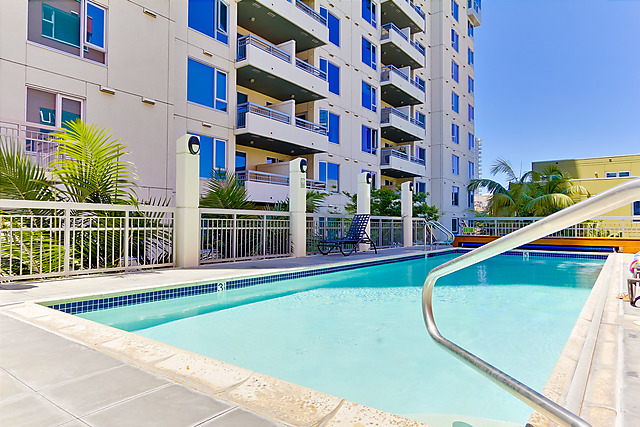 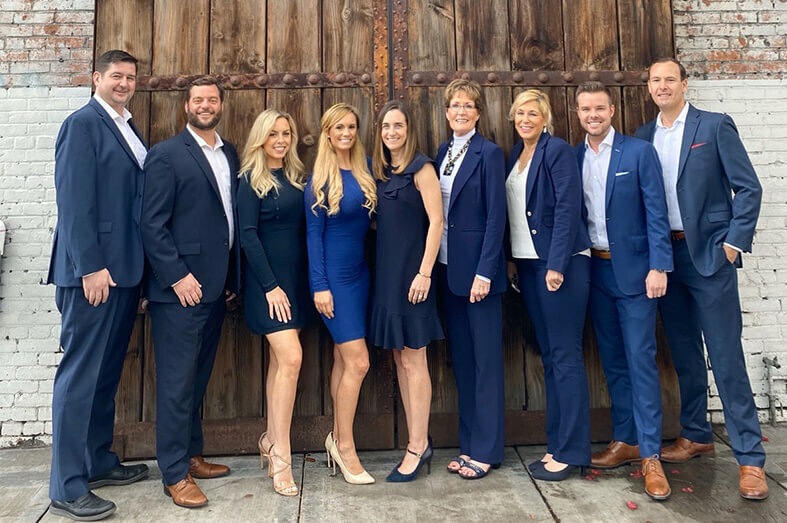 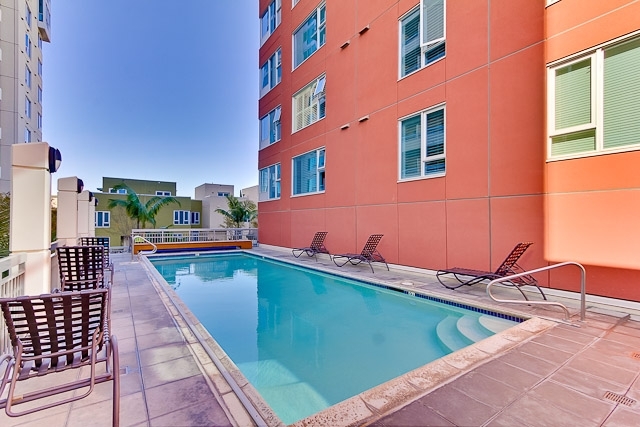 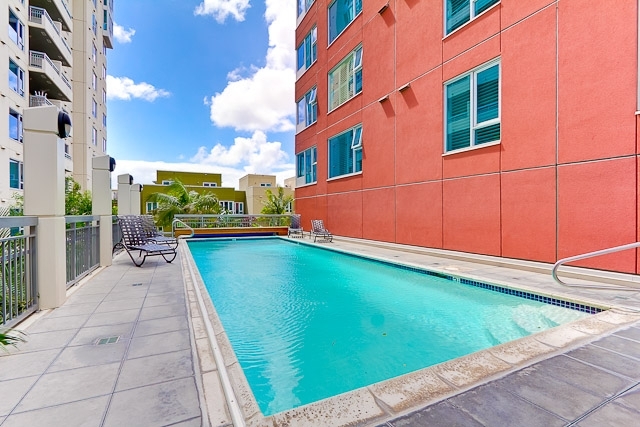 Located on the South-East corner of Downtown San Diego’s Little Italy neighborhood between Union and State and Beech and Cedar, La Vita Condos San Diego are arguably the best all around residence in Little Italy with a walkability rating of 99%. 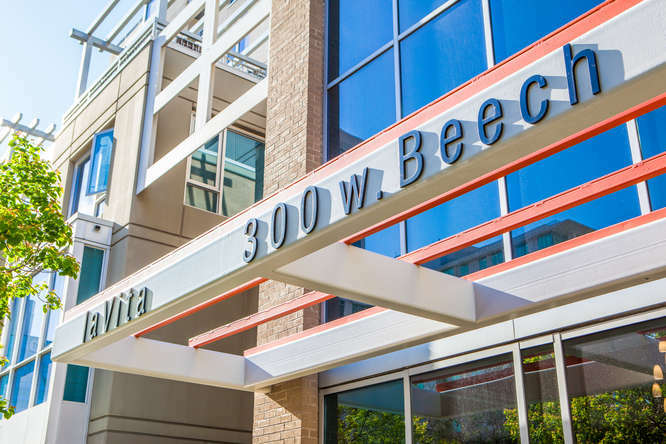 La Vita condos consist of a high-rise tower located at 300 W. Beech Street, a mid-rise tower located at 1580 Union and nine 4 story townhomes that border the North and West sides of the city block- all with their own private 2 car garages. 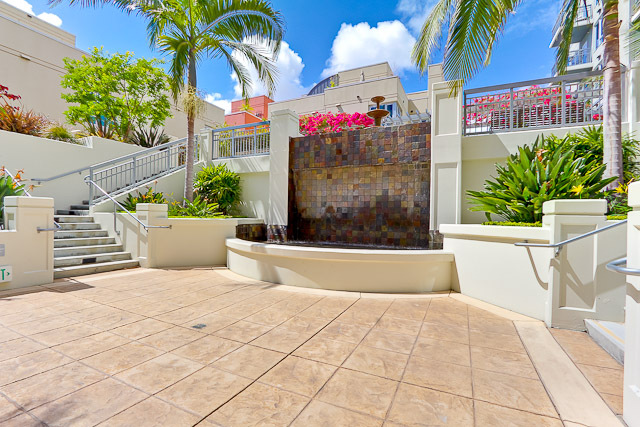 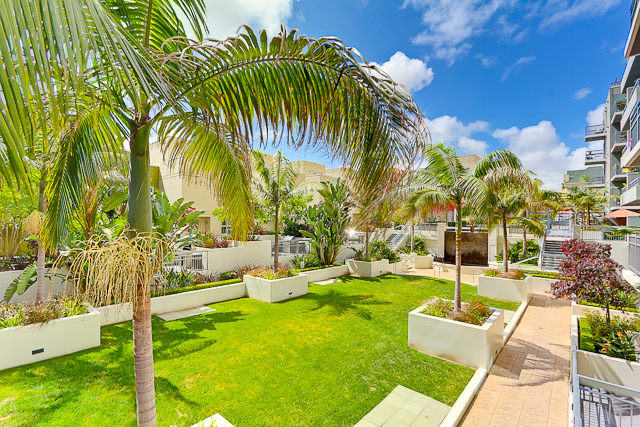 In the middle of the La Vita condo complex is a lush courtyard with fountain, waterfall, tropical landscaping, BBQ areas, swimming pool and Jacuzzi. 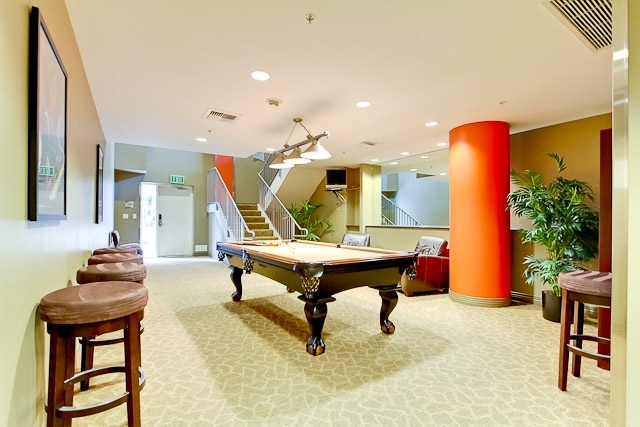 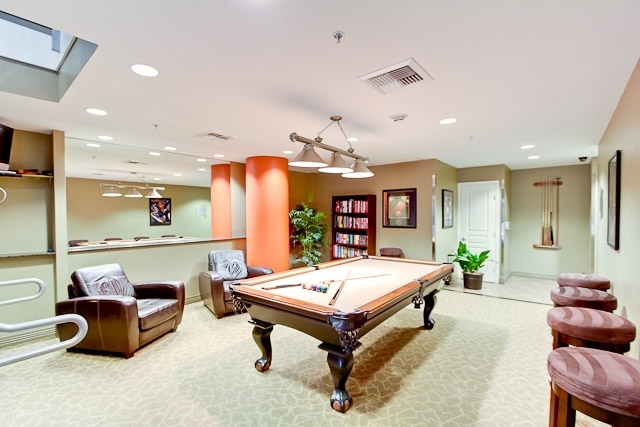 The complex also offers a pool table, meeting room, and a small shared book exchange area. 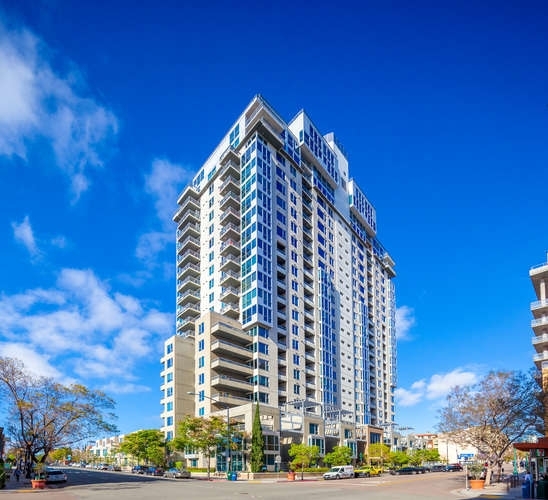 The Little Italy neighborhood surrounding La Vita San Diego condos consists of one downtown’s favorite cafes, Pappalecco, which invites residents to relax and enjoy outstanding espresso drinks and gelato in their outdoor sidewalk seating. 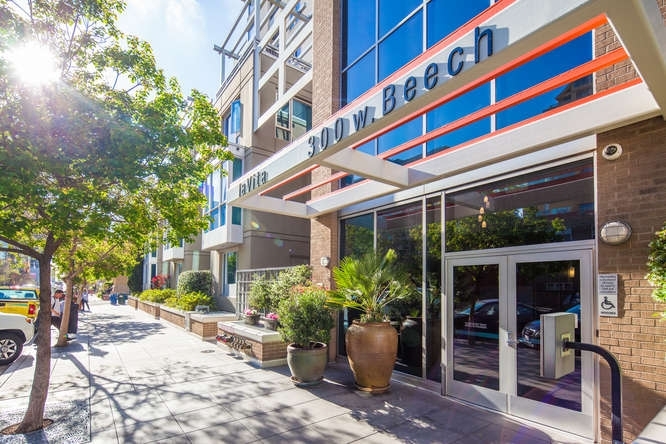 Every Saturday from 8am to 2pm, the Little Italy mercato offers residents the opportunity to buy fresh produce, herbs, flowers, coffee and novelty items. 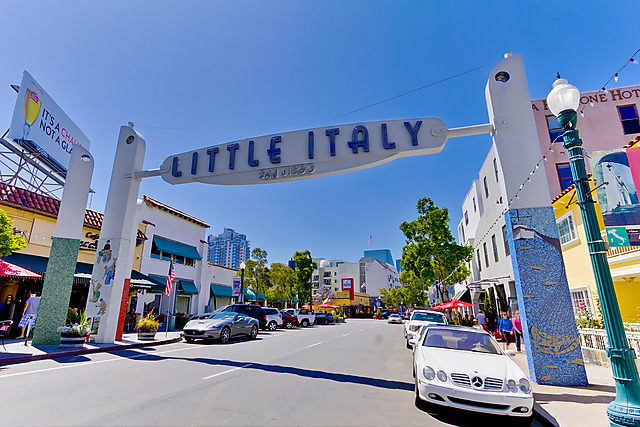 Little Italy welcomes residents and visitors alike to relax and enjoy one of Downtown San Diego’s most charismatic neighborhoods. 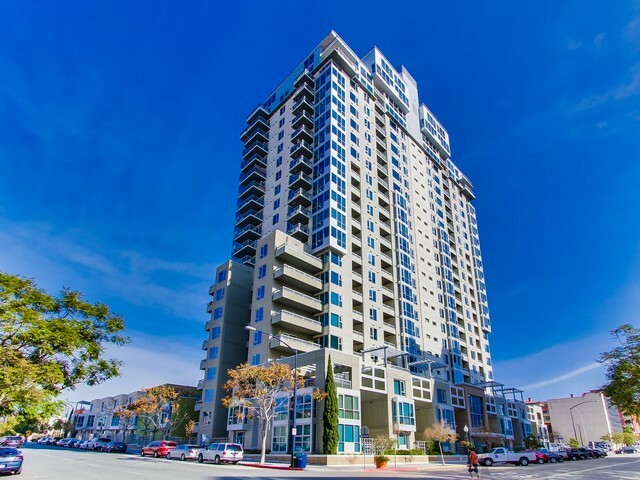 La Vita condos San Diego were built by Lennar Homes urban division, Intergulf, in 2005 and are a class A building consisting of steel, concrete and glass. 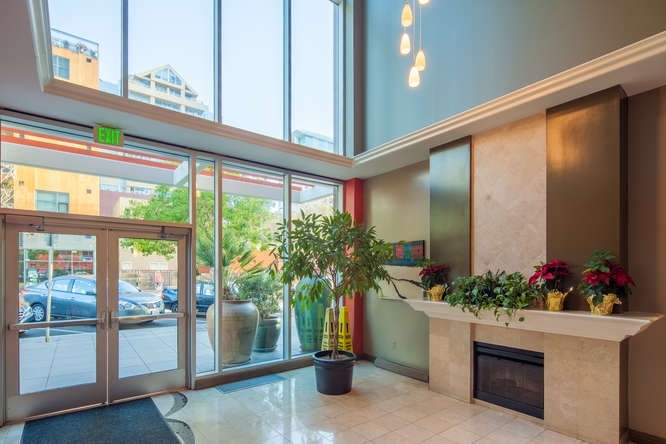 The quality of the interior finishes are tasteful and the floor-plans are well thought out given the smaller square footage. 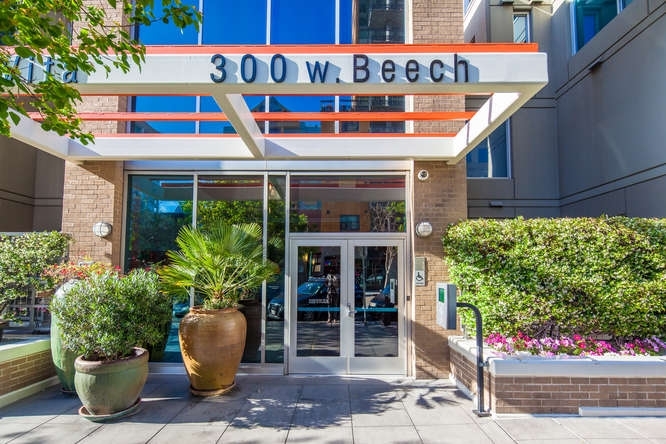 One of the strong points is that the HOA dues are lower than most other downtown condo complexes, yet they include all the amenities you would expect of a luxury community. 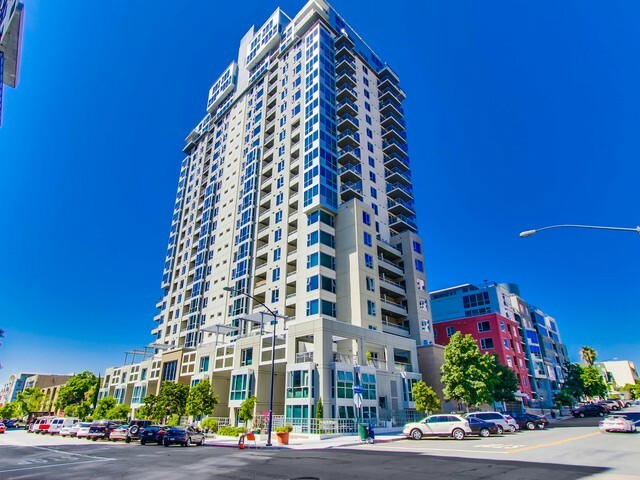 La Vita is also VA Approved! 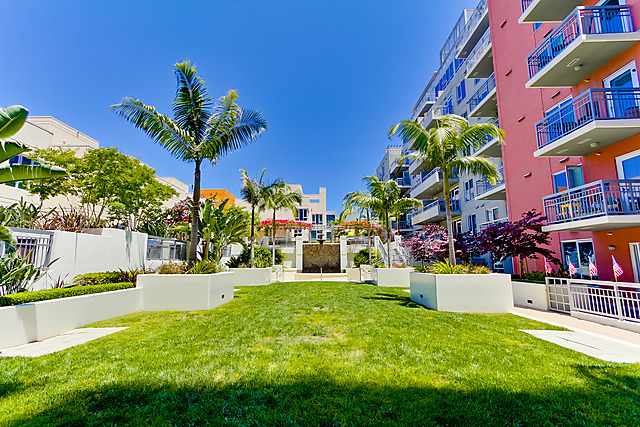 One, two, & three bedroom plans as well as Townhome and Penthouse residences. 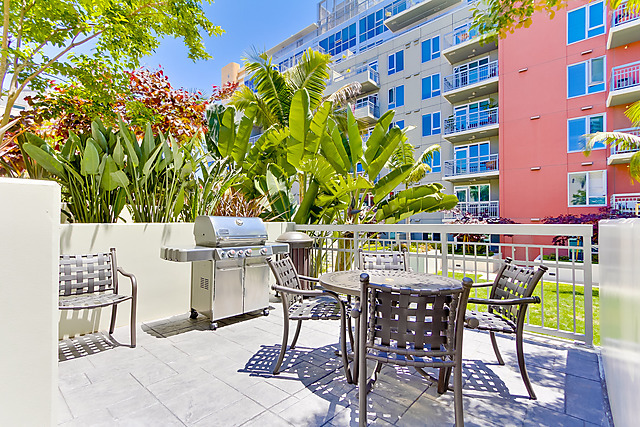 Euro-style cabinets in the kitchen and baths with brushed aluminum hardware and hidden Euro-style hinges. 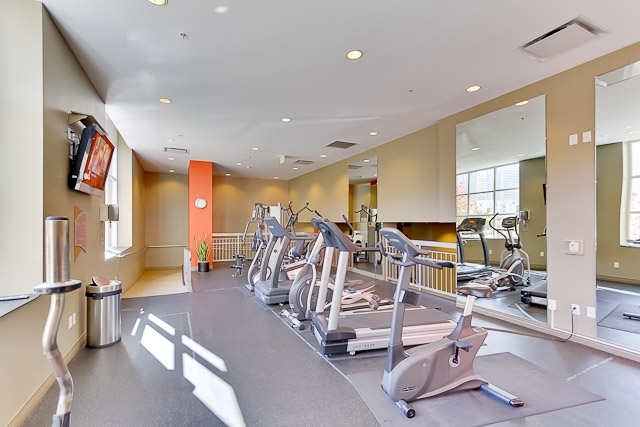 Solid granite slab countertops in kitchen and baths with granite tile backsplash. 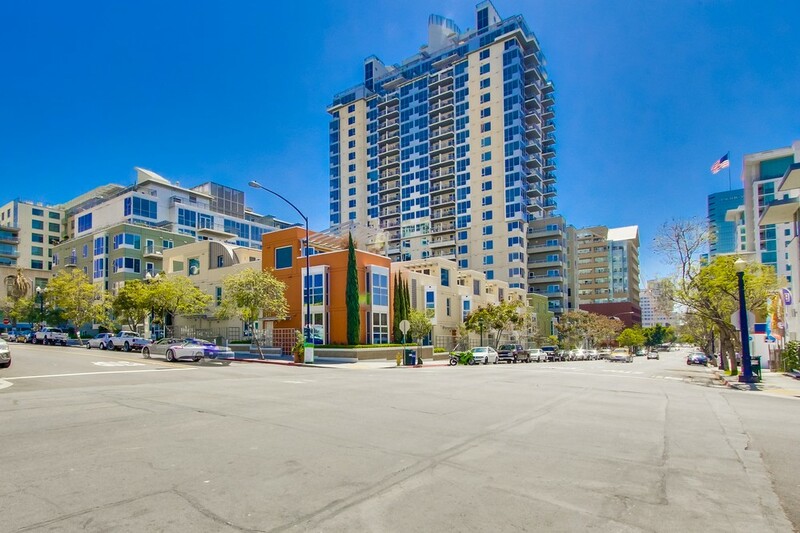 Close proximity to Waterfront Park, Star of India, USS Midway Museum, Maritime Museum of San Diego & Amici Park.